Set yourself up well for the year ahead and make sure you are based in the best business premises for your needs. The start of a new year is an ideal time to think about whether your current business premises is right for you. One small company who has recently made the move to one of our units, is signs and engraving business George KK. George Kerkines-Keramidas took a unit at our Lomeshaye Business Village in Nelson, near Burnley, in November last year. Two months on, he has given his business space a makeover, redecorating it and adding insulation, and he is hopeful 2014 will be a good year for the business. George started the business in April 2008 when he began working as an engraver in Colne. He then chose to move to Lomeshaye when he decided he needed a better working space. The company offers custom engraving services, digital printing on a range of materials and high quality signs. The girls in the reception are very helpful, creating a friendly atmosphere. If you’re cramped in your unit and the size is limiting you from taking on more work, or conversely if you are paying for space that you’re not using. If you or most of your staff are spending too much time travelling to work. You’re isolated. Being based in an industrial estate or business park makes it more likely for customers to be able to find you easily. You’re also more likely to have neighbouring businesses who might need your services or could refer work your way. You feel like you’re paying too much rent. City centres are inevitably more expensive than the outskirts of town. If you don’t have a physical storefront or need face to face contact with customers, you may be better off considering an out-of-town location. These often have excellent transport links, without the heavy traffic associated with town centres. If, like George, you decide you want to find somewhere new, our flexible workspace provision makes it easy for you to rent a unit, even if you're not sure how much space you will need in the longer term. We have a simple sign-up process, so you can move into one of our units straight away and then if you discover later that you need something bigger or smaller, you can move quickly into a different space without hassle. Plus, you don't need to be tied into expensive fixed-term agreements - you can rent our units for however long you need. Lomeshaye Business Village is an ideal location for businesses in Lancashire with a mix of both serviced and non-serviced offices. It is a historic property which has been refurbished to a high standard. The business village is popular with companies for its convenient location near the M65 as well as its facilities which include a day nursery, which has been ranked outstanding by Ofsted, and a café. 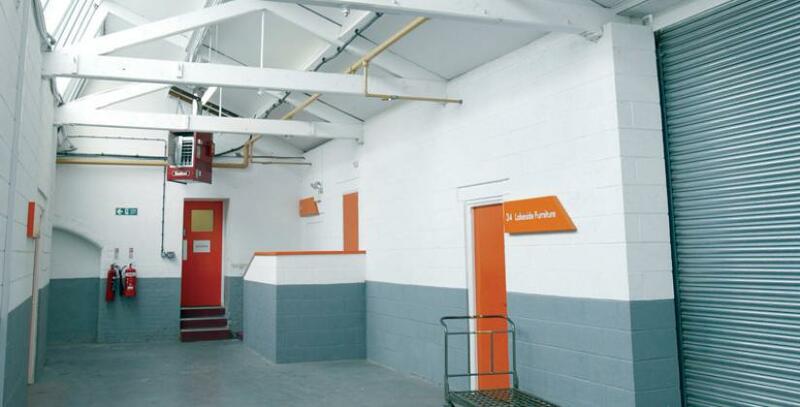 Lomeshaye also includes workshops, storage, meeting rooms and virtual offices.